Charles was born on 19 February 1818 at Bishops Norton, Lincolnshire, to parents Thomas Kendall and Frances ‘Fanny’ Dennis. Thomas was the village carrier. Charles was one of eleven surviving children. Of the ten brothers six were preachers, three becoming PM Ministers (Charles, Thomas and Dennis) and three entered the ministry of other churches. As a young man, Charles was apprenticed to a shoemaker. He was converted at the age of 18 and also signed the temperance pledge in the same year. It is probable that he received his first membership ticket from Sampson Turner. Following his conversion, Charles, like many others in his situation, set about getting an education. An old man gave him grammar lessons whilst he worked on shoes. When starting as a local preacher, Charles accompanied Mr G Robinson of the Scotter circuit. His first appointment was at Northope. 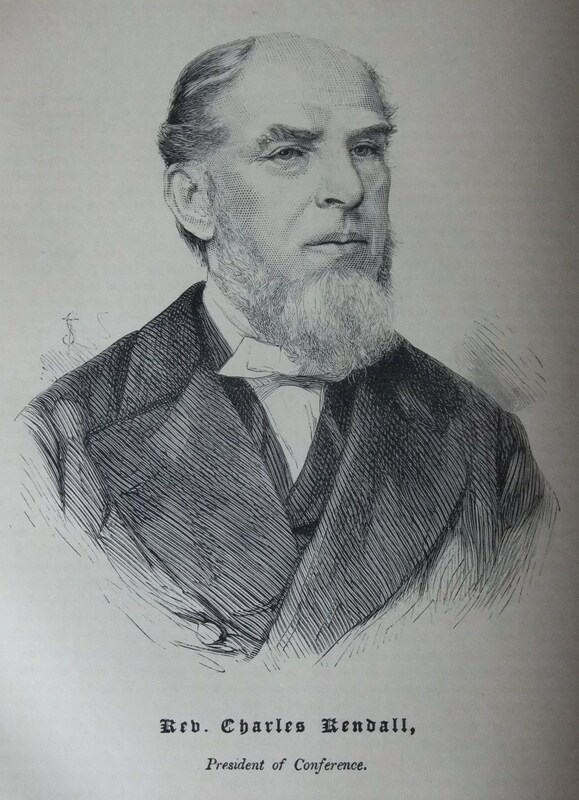 Kendall writes; ‘He was a capable administrator, a good manager of men, a careful and prayerful superintendent; a powerful preacher, with an unusually large vocabulary at command, from which he knew how to select the right word, as the books he left testify. Charles was associated with several chapel building enterprises, notably at Scarborough he bought land for the Jubilee Chapel, the Bethel Chapel at Grimsby, a chapel at Filey and the Holdness Rd Chapel in Hull. 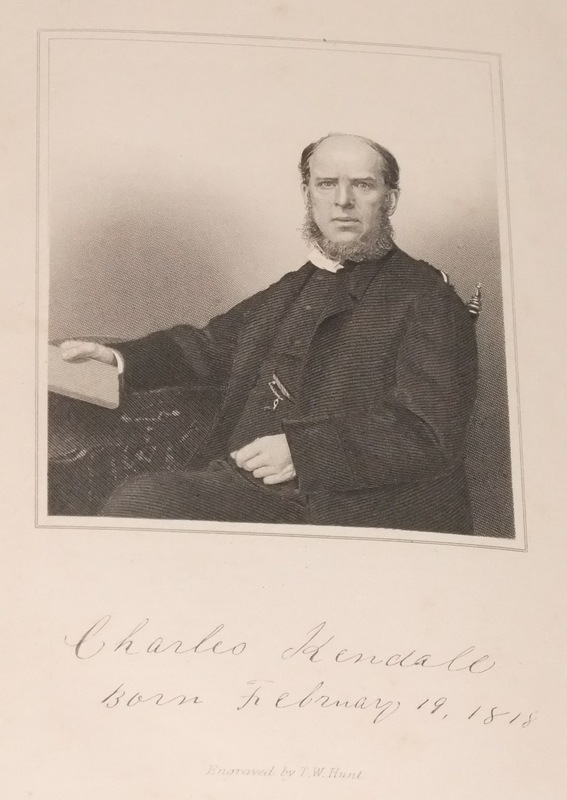 Charles was President of Conference in 1881 which was held in Hull. He was the only President of the PM Conference to die in office. Charles was the biographer of Atkinson Smith and William Sanderson. In conjunction with William Sanderson, he was the originator and editor of the first series of the ‘Primitive Pulpit’. ‘God’s hand in the storm’ was published in 1870 as an account of the gales of October 1869 at Filey, Yorkshire. Charles married Sarah Bickerstaffe (1815-1901) on 12 July 1843 at East Parade Chapel, Leeds, Yorkshire. They had one son. Charles died on 5 May 1882 in Hull. For a more complete history of the Kendall family see the book by Maria Borrill entitled; The Kendall Family from Ashby Lincolnshire.